When & How to Pay Income Tax on Fixed Deposit Interest Income? Fixed Deposits (FDs) allow you to exploit complete potential of Section 80C to deduct Rs. 1.5 lakh from your taxable income. It also ensures capital protection along with some interest returns. However, this income is taxable. Seldom do investors think about paying tax on the interest income on time. This article will cover on when and how to pay income tax on FD interest income. How is interest income taxed? How to calculate tax on interest income? 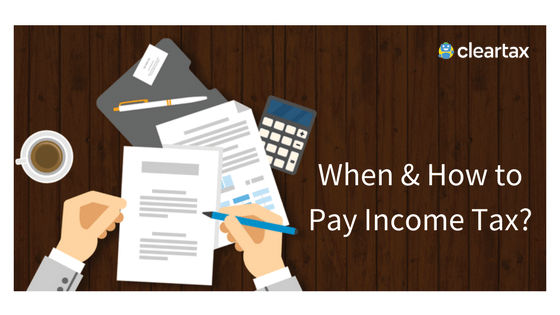 When to pay tax on interest income? 1. How is interest income taxed? Interest income from Fixed Deposits is fully taxable. Add it to your total income and get taxed at slab rates applicable to your total income. You can see it under the head ‘Income from Other Sources’ in your Income Tax Return. This Tax is Deducted at Source by the bank at the time they credit the interest to your account, and not when the FD matures. So, if you have a FD for 3 years – banks shall deduct TDS at the end of each year. (See below for more details on TDS on FDs). Understanding TDS : When you receive certain payments the person paying you has to deduct tax before making the payment. This tax deducted is called TDS, which they pay to the Central Government. You will receive the amount net of tax. You then have to add the gross amount to your income and adjust TDS against your final tax liability. 2. How to calculate tax on interest income? Add the interest income to your total income in your Income Tax Return each year (even though, it may not be paid out). See which tax slab rate you fall into. Match it with the yearly TDS deduction at the bank’s end. The Income Tax Department will adjust the TDS (which has already been deducted) against your final tax liability. Even when no TDS is deducted include the interest income in your total income and pay tax on it. Suppose you wait until the maturity of your FD when interest is actually received– your total interest income may push you up a slab and you may end up paying the higher tax. 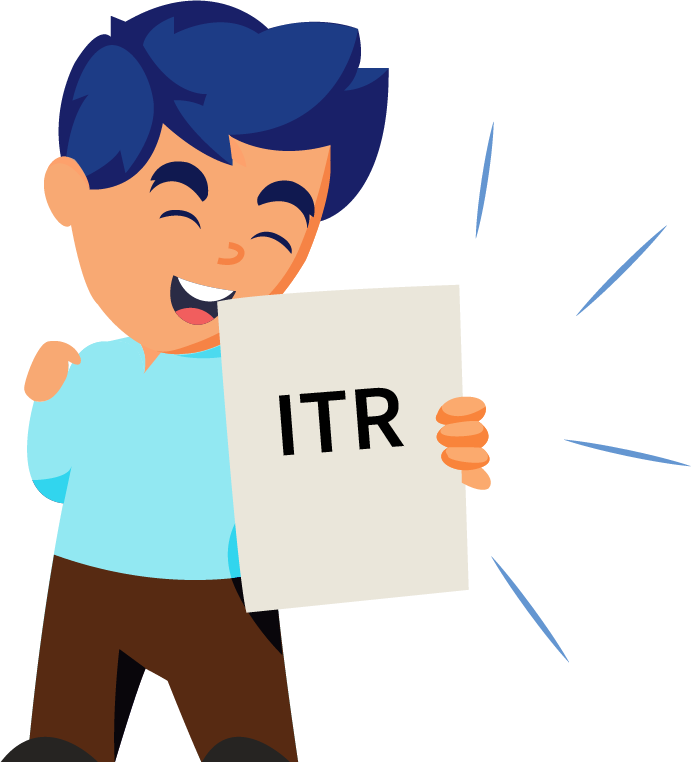 Do you know ClearTax can automatically import all your TDS entries from the IT Dept at the time of filing your Returns – This means you will not miss out on adjusting any of the entries.You can view the details of TDS deducted on any of your income by viewing your Form 26AS. Ritwik falls in the 20% tax bracket. He has 2 Fixed Deposits with a bank of Rs 1,00,000 each for a period of 3 years @ 8% interest per annum. In the first year Ritwik’s interest income is Rs 8,000 from each of the FDs, total interest accrued is Rs 16,000 in the first year. Bank deducts TDS @ 10% of Rs 800 on both the FDs. 3.When to pay tax on interest income? If any tax is payable after the inclusion of your interest income in your total income – you must pay it before 31st March i.e last day of the financial year. This is how you can pay any tax that is due. In case you have a large income from interest – Advance Tax – it may become payable on a quarterly basis. If your interest income from all FDs with a bank is less than Rs 40,000 in a year, the bank cannot deduct any TDS. Prior to Budget 2019, the limit of TDS on interest income was Rs. 10,000. The bank estimates your interest income for the year from all the FDs you have with the bank. There would be a 10% TDS deduction if your interest income exceeds Rs 40,000. In case you do not provide your PAN information to the bank, they will deduct 20% TDS. So do make sure Bank has your PAN details. No TDS is deductible when your total income is less than the minimum taxable amount. Some investors may have more than Rs. 40,000 interest income in a year, but their Total Income (including interest income) is less than the minimum exempt income (Rs. 2,50,000 for the financial year 2018-19). When there is no tax payable by the individual, the bank cannot deduct TDS. But how will the bank know your total income? The only way to make sure that no TDS is deducted by the Bank is by submitting Form 15G and Form 15H to the Bank. Submit these forms at the beginning of each financial year to avoid the whole hassle of additional TDS deduction and subsequent refund from the IT Department. Senior citizens receiving interest income from FDs, savings account and recurring deposits can avail income tax exemption of up to Rs 50,000 annually. This is by way of an amendment vide Finance Act 2018. Please read out detailed article on this here, where we have discussed provisions of section 80 TTB. Hope this helps you understand taxes on FD interest income in detail, do reach out to us if you have any questions!